The Homer Laughlin 40500 Durathin plate is constructed of china for durability in commercial settings; it prevents chipping and scratching. 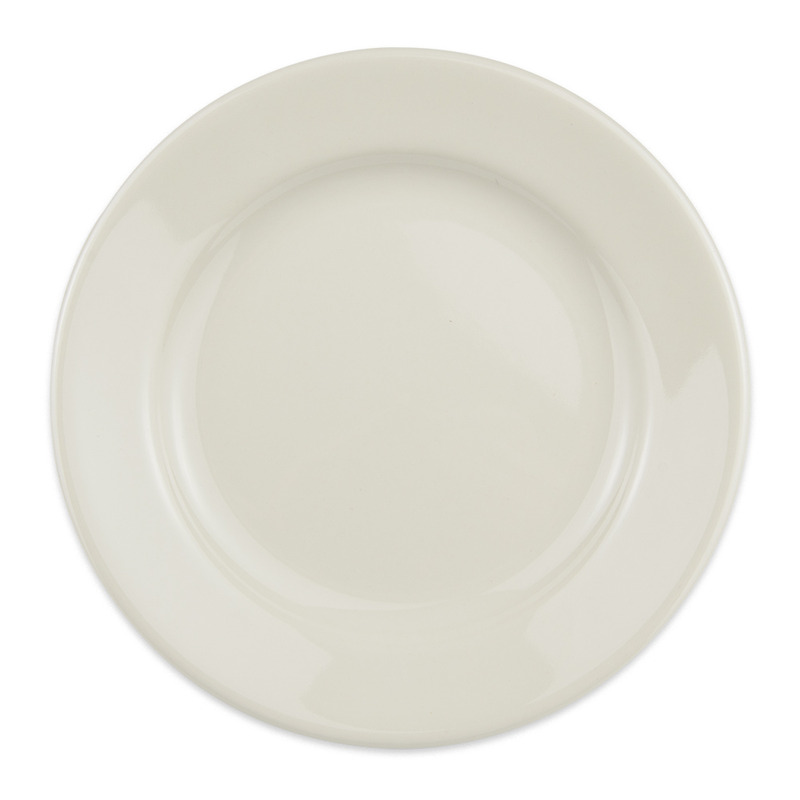 Since the dish comes in ivory, it will easily fit into any theme and with other dishes easily. 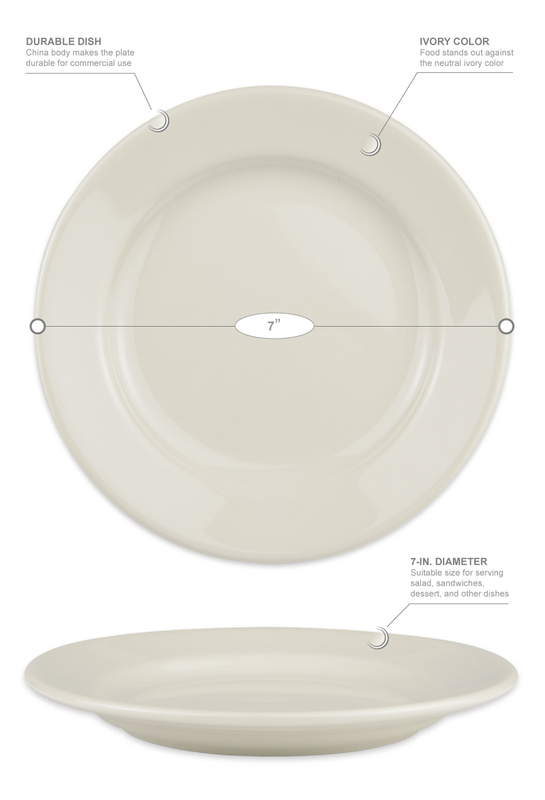 With a 7-inch diameter, the Homer Laughlin 40500 Durathin plate can be used for serving tapas, salad, dessert, and more.